Some days ago, the Assad Regime murdered two activists , Raed Al Faris and Hammoud Junaid. This photo is property of the Syrian National Coalition. There are few pictures in this post .I apologize towards my readers: following a mistake, my computer is now in Arabic.I learn this language,and as I am only a beginner, it was difficult to upload pictures. The most known remains the death of Raed Al Faris, because social networks diffused this new. The Syrian National Coalition strongly condemned it, as a supplementary proof of the necessity to hold Assad accountable for his crimes. Raed Al Faris was at the head of a radio, and he gave information wich was opposed to Assad ; this activity caused his death. There is now no more mean to oppose to Assad, even in Idlid, where fighters are deliberately killed by Russia, the ally of Assad. The Syrian Network for Human Rights continues to give the number of deaths , in reliable statements; but we have to remember that the UNO stopped to count the tolls in 2015. 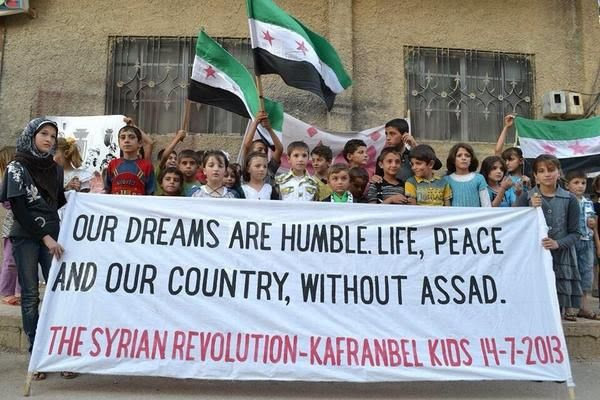 The Syrian Revolution have made more of a million of deaths; Assad caused a real genocide. Denouncing it, as did Raed Al Faris and Hammoud Junaid , was so dangerous an activity that they died of it. On Twitter, the day of his death, people tweeted #R I P , Raed . Now, some days after, Assad stroke again Idlib, and this martyrdom is forgotten: we must not forget those who dared speak out against Assad. Raed Al Faris is not a number in the million of deaths; he was an activist, and must be remembered for this activity, this constant opposition to Assad since 2011. Let’s now praise great men: let’s now praise Raed Al Faris .